Orest Rudyj was born on February 14, 1929 in Sambir, Ukraine to the late Maria (nee Matkiwska) and the late Ewhen. He joined older brothers the late Myroslaw and the late Lubomyr. His patriotic family was forced to leave their beloved Ukraine due to the Soviet occupation during the Second World War. His family eventually settled in the Displaced Persons camp in Salzburg, Austria, where he attended and graduated the gymnasium. Having arrived in the United States in 1951, the family settled in the Fairmount area of Philadelphia. Orest spent two years in the United States Army, as a linguist in Fort George G. Mead and as supervisor to a group of draftsmen in 2nd Army Training Aids Subcenter at Indiantown Gap. After discharge, he attended and graduated the University of Pennsylvania with a Bachelor of Science in Chemistry, went on to St. Joseph University for a Masters Degree, and finally achieved his doctorate in physical chemistry from Temple University. Orest held a Senior Research Chemist position at the Franklin Institute, where his duties included basic and applied research on liquid rocket propellants, shock-tube combustion studies, emissivity of materials with high temperature melting points, electronic properties of organic semiconductors and photoconductors, and photo-voltaic effect in organic films. At FMC Corporation, his research included study of properties of synthetic fibers, developing synthetic fibers with special properties, and developing special techniques and equipment for such purposes. Through a contract supervised by the US Department of Agriculture, Orest was employed as an analytical chemist by Honey Industry Council of America to determine proline and protein in 750 samples of authentic honey. Orest’s last position was with the Philadelphia Water Department, where he controlled the chemical properties of water treatment to maintain potable water. He had also free-lanced abstracting and translating of Russian, Polish and Ukrainian scientific papers on biochemistry, biomedicine and microwave biophysics, preparing over 200 abstracts for Franklin Institute in Philadelphia. Orest met Natalie Stebelsky when she was teaching in Camden, NJ, and they were married in June of 1962. A devoted husband, he was a loving father to their five children, with a special concern in raising them with a strong connection to the Ukrainian Catholic Church and their Ukrainian heritage. Through his hands-on involvement with his children’s activities and learning, Orest helped his daughters develop their individual strengths and talents. Orest leaves behind his beloved wife Natalie, daughter Lesia (Taras) Penkalskyj with granddaughters Vera and Marta, daughters Olenka (Ihor) Zajac, Anna, Irene, Christina (Erik Grow) Rudyj. Funeral Services will be held at Annunciation of the Blessed Virgin Mary Ukrainian Catholic Church, 1206 Valley Road, Melrose Park, PA 19027 on Tuesday, February 5, 2019. Visitation 9:30 am, Funeral Liturgy at 10:30 am. 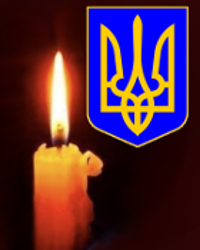 In lieu of flowers, we will be grateful for donations to Annunciation BVM Church, Melrose Park, or The Ukrainian Federation of America, c/o 700 Cedar Road, Jenkintown, PA.